In Stock. Sold by The Gentlemens and Fulfilled by Amazon. Gift-wrap available. In Stock. Sold by The Gentlemens and Fulfilled by Amazon. MADE IN THE U.S.A. - COMPLETELY FRAGRANCE FREE: Is it really unscented, as in there is no smell whatsoever? Yep! 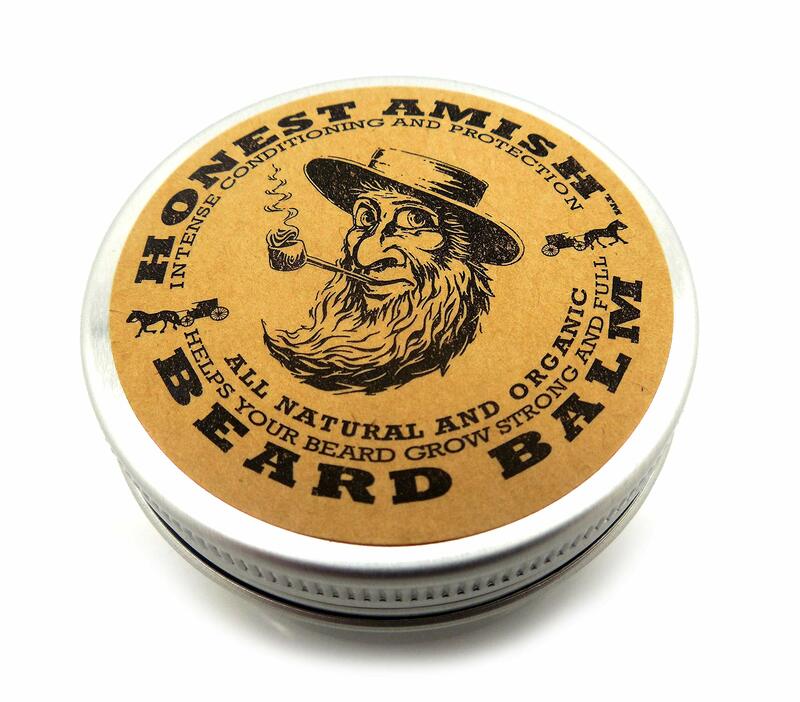 In addition to being 100% natural and organic, you’ll enjoy a better beard without any unwanted scents! With this beard conditioner "fragrance free" really does mean no smell at all. No more strong scents that you're forced to smell all day. Just a healthy beard that feels softer than ever before. 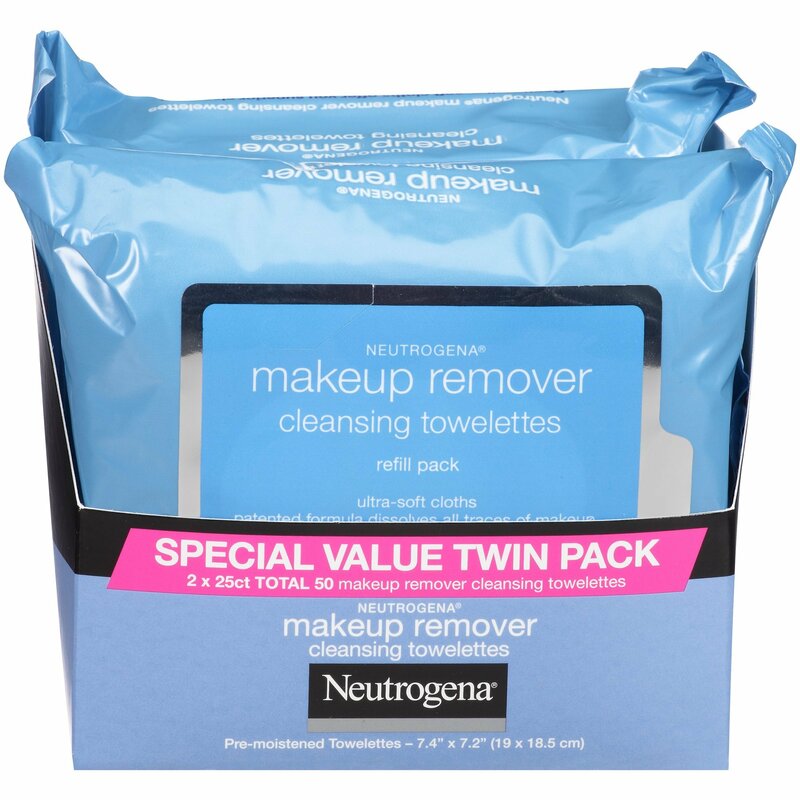 No fillers, fragrances, additives, parabens or GMOs. 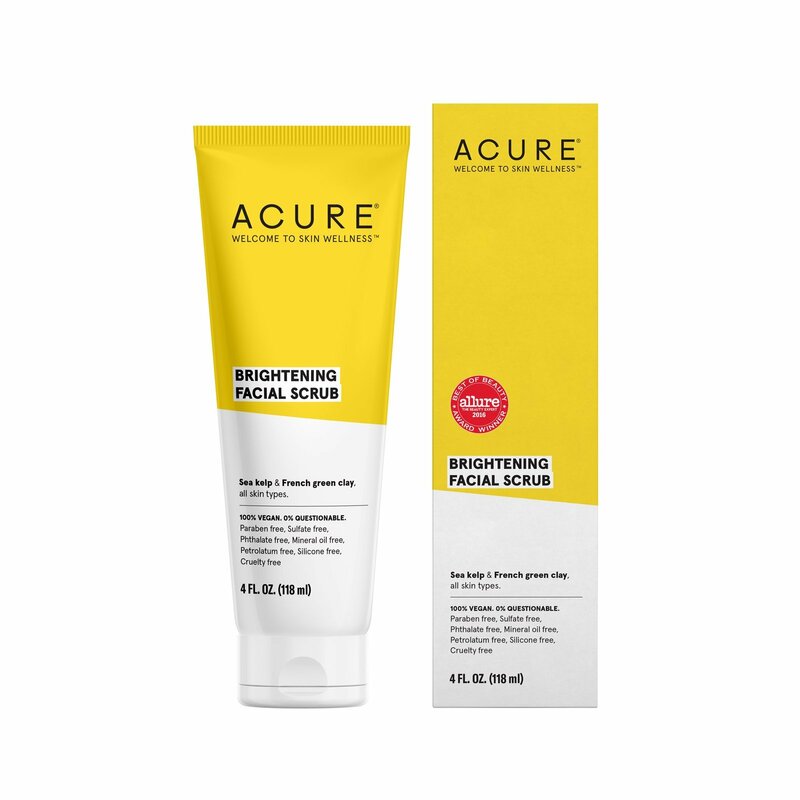 Has not been tested on animals. 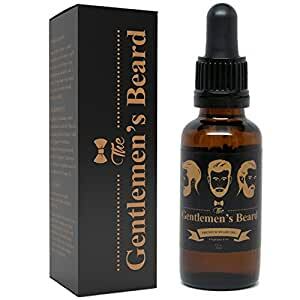 HELP YOUR BEARD SHINE AND LOOK HEALTHY: This organic beard oil won't just make your beard feel healthier, it will also look healthier, with a smooth shiny appearance that helps it appear fuller and thicker. Super easy to use – either dampen your beard or apply dry. Just a few drops a day (glass dropper included!) is all it takes. Drop onto your hand then rub into your beard. Simple as that! FORGET ABOUT BEARD ITCH AND BEARD DANDRUFF: For your beard to look and feel fantastic, the skin underneath has to be in great condition. 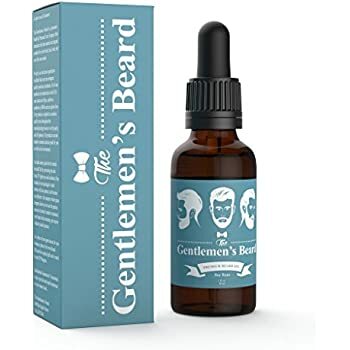 The Gentlemen’s Beard Oil Leave-in Conditioner Softener with Vitamin E and Evening Primrose oil doesn't just soften the hair, it also conditions the skin to stop itchiness, flaky skin, and irritation. 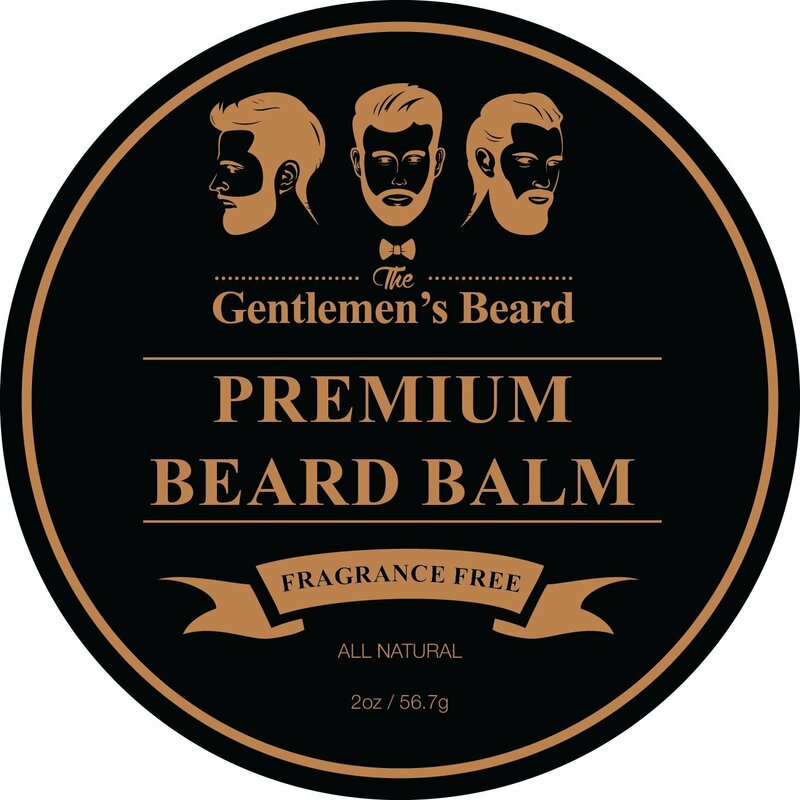 It reduces beard itch that can come with a brand new beard and helps with “bearddruff”. No more irritation or flakes! Sold by The Gentlemens and ships from Amazon Fulfillment. 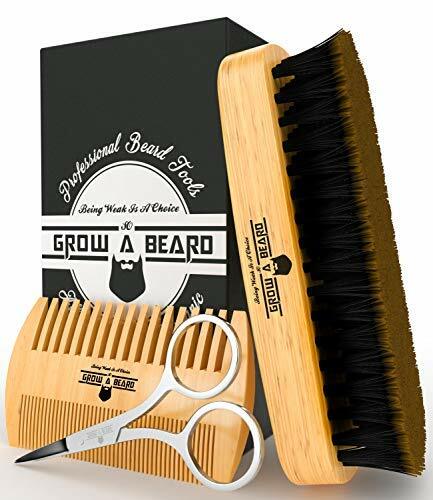 Sold by GROW A BEARD and ships from Amazon Fulfillment. 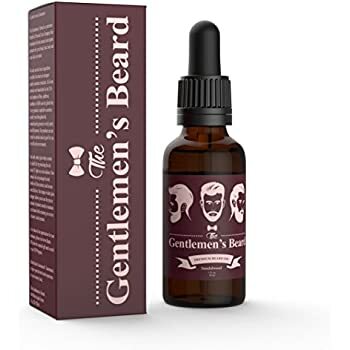 Do this – as soon as you get your Gentlemen’s Beard Oil… put it to the test! You can either dampen your beard or go in dry. Unscrew the dropper top and place a few drops on your hand. Then rub it in! The all natural ingredients help moisturize, smooth and tame coarse brittle facial hair and beards. 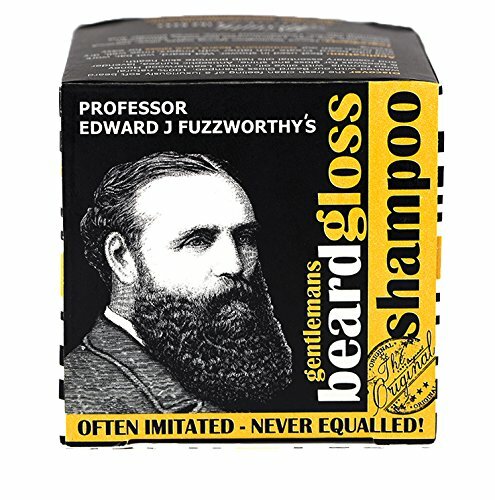 Helps condition, reduces beard itch, BeardDruff and treats split ends as well. 1. Pour a small amount of beard oil into the palm of your hand. Best to use right after showering. works with dry beards as well. 2. Spread between both palms and fingers. (kind of like hair gel) 3. Apply to your beard and massage into your skin. 4. Optionally: Brush and/or comb your beard to the style you like. We recommend brushing first to spread the oil around evenly and the combing to get the shape. 5. For dry beards apply daily or whenever beard maintenance is required. 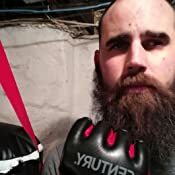 5.0 out of 5 starsGreat for beards that have more "Salt" than "Pepper" too! My husband really loves this oil. It has no scent whatsoever and it really helps to manage his beard. He has more "salt" than "pepper" these days and the "salt" colored hairs are very unruly! My hubby said they remind him of me! lol But this oil really helps them to stay put and he likes his facial hair to be precise and lay nicely. He also has been using it for his eyebrows, which tend to get a little dry and flaky and it has helped with that too. Also, I think his skin is softer as well. A bottle has lasted him a little over 2 months. I have never used a beard only before. This is my first beard past stubble and noticed the hair is dry, coarse, and my face was itchy. The oil has helped to soften the hair and hold down the itch. 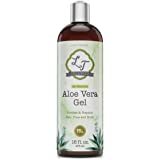 I use the oil in combination with a balm. I also bought a boar's hair brush. 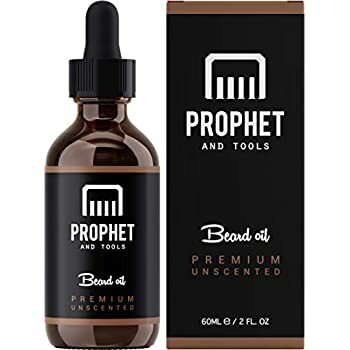 The oil comes with an eye dropper and I found about 10 drops in the palm of my hand to be sufficient for my current beard. I think results and amount of oil needed will vary. I like that this oil has little scent...I bought balm from the same company as well. 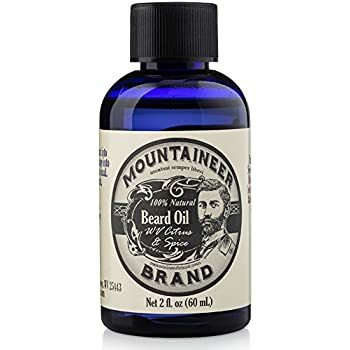 5.0 out of 5 starsGREAT BEARD OIL. 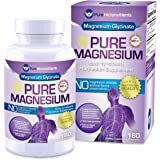 I went off of the reviews before purchasing this product and I am glad I did. My short beard stays soft and manageable. I work in LE and my beard used to feel pretty rough from touch before using this stuff. A few drops last ALL day and even keeps my skin from irritation and breaking out. I no longer have to worry about my face and neck stinging from irritation. I have even noticed a change in my beard growing a little bit thicker after using this for only a couple of weeks. BTW, I am black and I wondered if this would work for me and it DOES. 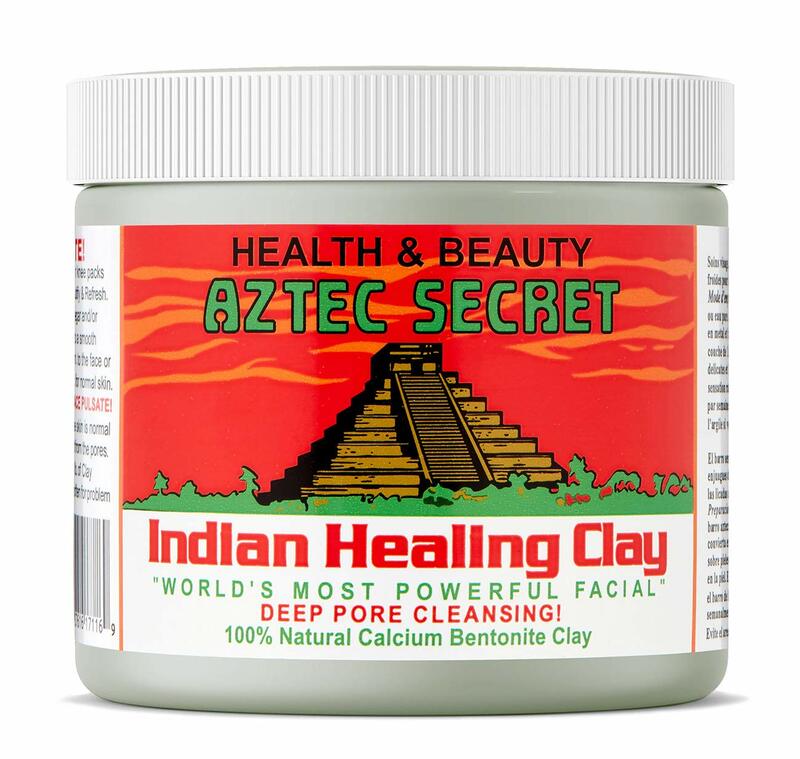 Give this stuff a try if you want your beard to be manageable and your skin to not be irritated anymore. 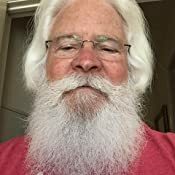 At age 50 I've decided to grow my hair out and grow a beard. 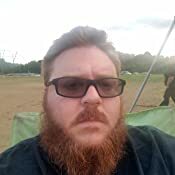 Having not cut my hair or shaved for 4 months, I was beginning to look like the unabomber Ted Kaczynski.. actually my beard is longer than his was... I've been using the Gentlemen's Beard Oil for about 2 weeks now and am really pleased. I use a little more than described. 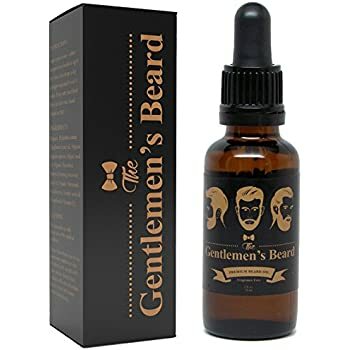 I've been putting about 6 drops in my damp beard and another 6-8 drops in my damp hair. My hair/bear seem more manageable, look healthier and feel really soft. Unless I discover something better, I'm hooked. 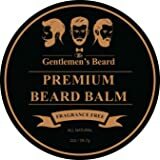 It works very well with a moist beard and has no scent. I made a very unscientific test by placing a couple of drops on a white cloth several days in a row to see if there was any discoloring or yellowing. No discoloring was observed to the naked eye. 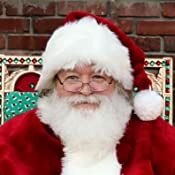 Again, NOT scientific, but close enough for me to use on my naturally white 'santa' beard. 3.0 out of 5 starsDidn't work for me and stains clothing. Was hoping this could help tame my beard, but after two weeks of using it I don't see much of a difference. 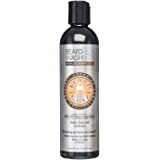 I don't use it after I shower because I shower at night, and it is an oil based product that will stain linens. I accidentally got a drop on my t-shirt and even though I pre treated the stain right away it still left a permanent stain. I keep my beard to a length of 3/4" to 1" in length. 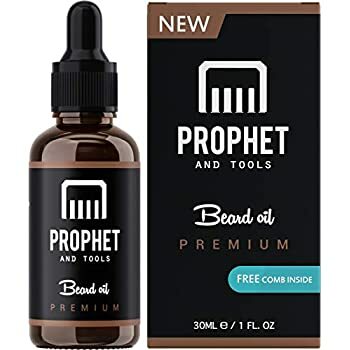 Maybe this product works better on longer beards. 5.0 out of 5 starsLook like that gentleman you know you want to be. I done oiled my beard. And it were good. First time oiler, and pleasantly surprised by it. I was worried about an all-day greasiness, but found that The Gentlemen's Beard Oil and Conditioner Softener didn't leave any trace after a few minutes. Started with 3 drops, but worked my way into a 5-6 drop daily oiling after showering. Don't just rub it on top of the hair. Dig deep and massage it into your skin. I don't have an extremely long beard, but it does come out a little coarse. This softened it up enough for me to get that clean look I was looking for. A little comb through afterwards, and I look snazzy! I especially like that this came unscented, as I work closely with people and don't want to overpower anyone with any unnecessary scents. I only wish that I could find a way to get some of this sent to me overseas. I purchased one bottle to try it out while in town, and now that I'm back home, I regret not buying more. SO its a super clear oil, prefect for old people. ZERO smell and it tastes ok. It kinda just puts a shine on my beard, no hold. Its the only clear oil I found so far. I bought 5 different kinds to try out. Over 50% off Ill buy again. The price 4 stars. 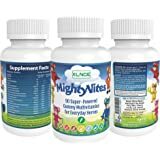 MightyVites - Gummy Multi - Vitamin for Kids - Vegetarian Vitamins and nutrients. for Metabolism and Energy Production. Builds Stronger Bones, Teeth, Skin and Hair. Allergen Free. Made in The USA.